KeyBank Hamilton Flyaway Sweepstakes winner Nicole Consiglio, center, of Voorheesville with her husband Steve and their children Olivia and Vinnie pose with Fran O'Rourke, market leader, Capital Region, Key Private Bank and Dan Hanifin, relationships director at Proctors Monday, April 23, 2018. Nicole is the winner of an all expenses paid trip to Chicago to see Hamilton. 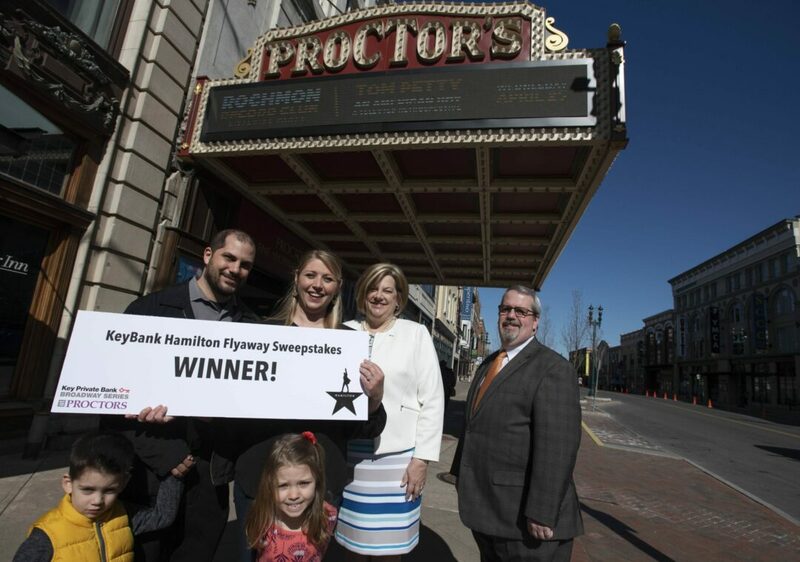 SCHENECTADY—On Monday, April 23, KeyBank and Proctors awarded Voorheesville resident Nicole Consiglio two tickets to attend Hamilton in Chicago in May. In addition to show passes, Consiglio, winner of the KeyBank Hamilton Flyaway Sweepstakes, received an amenities package with roundtrip airfare for two from Albany to Chicago; a two-night hotel stay; dinner for two at Morton’s The Steakhouse; car service to and from the hotel; and a $250 Key Possibilities gift card. Consiglio and her husband, Steve, will see the hugely popular musical re-telling of America’s founding fathers on Saturday, May 19, at the CIBC Theatre. Consiglio, a frequent Proctors patron, and her family, including children, Olivia, 5, and Vinnie, 3, met under the theatre’s State Street marquee to receive the award package from Key Private Bank, Capital Region, Market Leader Fran O’Rourke and Proctors Relationships Director Dan Hanifin. 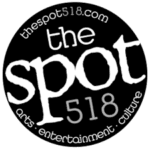 Hamilton comes to Schenectady for a two-week run, August 13–25, 2019, as part of the Key Private Bank Broadway series at Proctors.